Is your roommate having a problem with your YouTube-ing at night? Are you facing difficulties to view the bright display screen? Do you like black? – You definitely do. Who does not like black?-duh! News is, YouTube has launched its Dark Mode- for those who urge to watch movies shutting their lights and curtains off. This cool, black background gives you the feeling of watching your favorite shows in movie theaters. 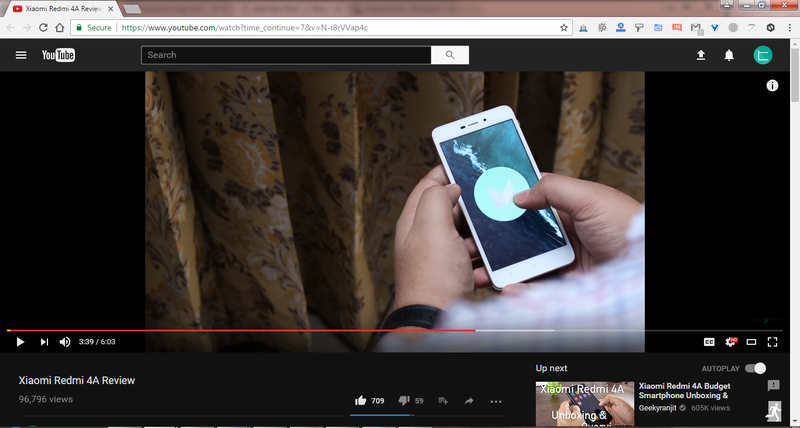 When you are browsing for videos to watch, the bright white background may negatively affect your eyesight but YouTube Dark Mode gives its user a soothing view. 1. You need to have Google Chrome installed (Version 57 or later) in your device. 2. Log in to your YouTube account with chrome. 3. If you are using Windows press (Cntrl+Shift+I), for the users of iOS you need to press (Command+Option+I). 4. A panel will be showed on the right side of the window, hit the Console tab. 6. Paste it to the console tab, where the cursor is visible. 8. You need to close the developer panel and refresh YouTube. 9. Click on your profile icon on the right, you will see an extended menu. 10. Finally, click the “Activate Dark Mode” from the menu list. The dark side of this Dark Mode is that you need to reactivate your dark mode each time you start chrome. You have to type this code because Google is experimenting this new feature. They are going to make it official very soon after that it will save you from typing the code.